I’m all about homemade projects and this one is no different. 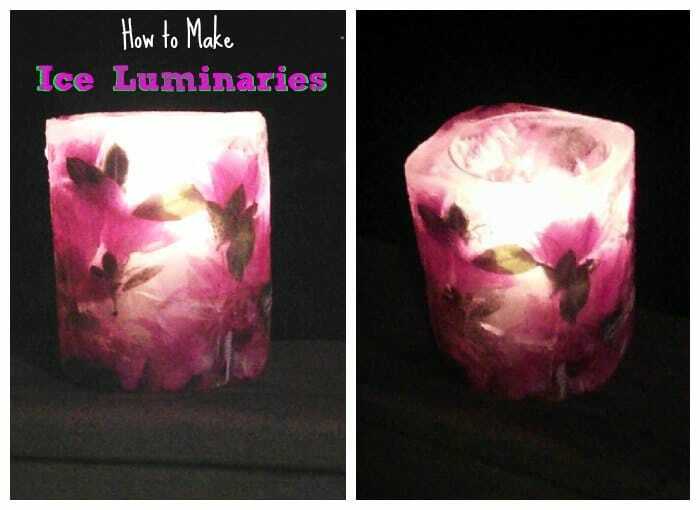 My friend Milissa just told me about her Do It Yourself Holiday Ice Luminaries! They are gorgeous! I immediately thought I want to make some for myself. It’s a simple project the kids would like and as long as it’s cold outside it will last. There’s something special about light and ice. It’s so elegant. This project is fairly simple and you can use stuff you already have on hand too. Almost anything the holds water can be made into a mold of some sort. You can decorate them up with colorful Christmas decor too. I’m looking in my fridge and I see oranges and whole cranberries. I plan to slice some oranges and use whole cranberries for my project. I might grab some greenery from the yard to complete the look too. The creative possibilities are endless. 1 small plastic cup that fits inside the first container. Candles (you can use regular tea light candles you have to light or you can use the battery powered tea light candles too) I prefer the flameless tea light candles myself. Cut the milk jug or other mold container in half and spray the inside of the container with non stick cooking spray. Place some of the decorations in the bottom of the milk jug. Insert the plastic cup in the milk jug and add rocks or marbles at the bottom of the cup. Fill the sides with your decorations arranging them just the way you want them to look. Freeze until it’s solid. The hardest part might be trying to find the space in your freezer. Once it’s ready, quickly run it through some hot water to remove the outer milk jug to release it from it’s mold. 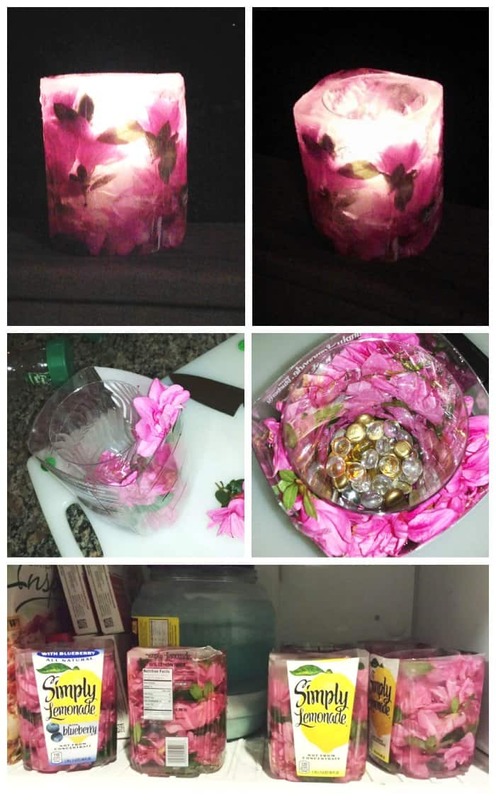 Add the tea light candle and enjoy! Here are a few of the process images. Milissa did a great job don’t you think? I especially like the holly ones for Christmas! I love it! 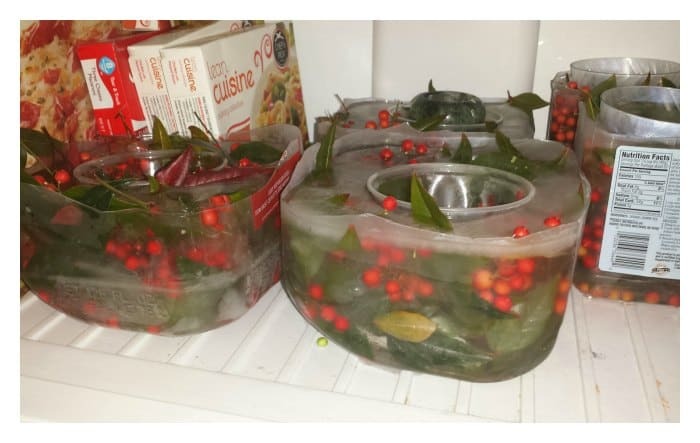 By Jennifer on December 5, 2014 Crafts, Frugal Living, On The Cheap, Popular Posts.